to help give you ideas if you don't already home something in mind. 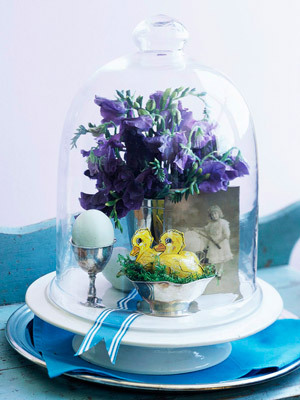 For our cloche fans, the above is an adorable combination of things. 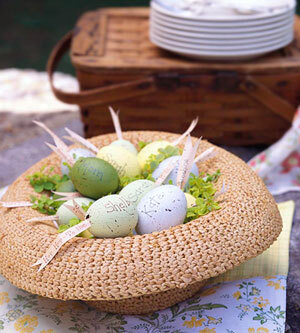 I like the hat filled with place card eggs, particularly for an outside celebration. 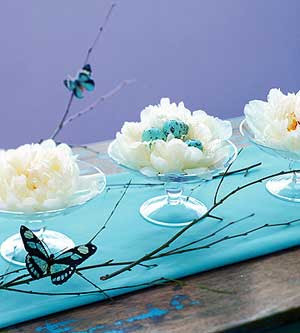 White flowers on clear glass cake plates is stunning and simple. 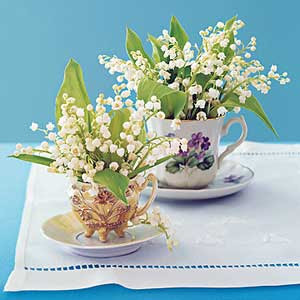 I like the way the flowers are used as nests for the eggs. Tea any one? 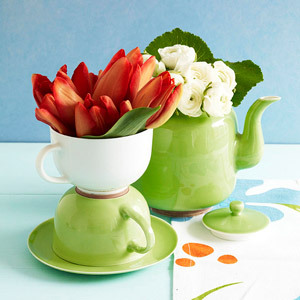 Wouldn't this be cute at each place setting or along a line at the buffet? 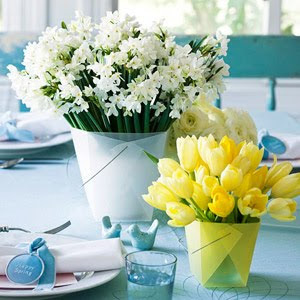 Finally, the simplicity of carry out containers filled makes an easy, inexpensive idea. Tomorrow some ideas of my own containers from the store. Love the peonies with the eggs!